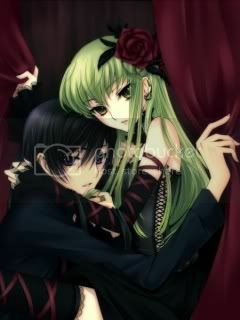 I am a Code Geass FAN!!!! I cant draw...my Java isn't working!!!! ^^  the dubber here in our country sounds really cool too!! Right?! My friend thinks he's soooo weird, but that's what I love about him!! whenever he talks it seems he's joking. he's like mysteriously kool to me! mynameissecret has chosen not to enable this feature.